Every ninja needs a sword that can harness the devastating power of the tsunami - a sword like the Black Tsunami Ninjato. Like water retreating from the coast, if this blade begins to pull from its scabbard, it is too late for those in its path. 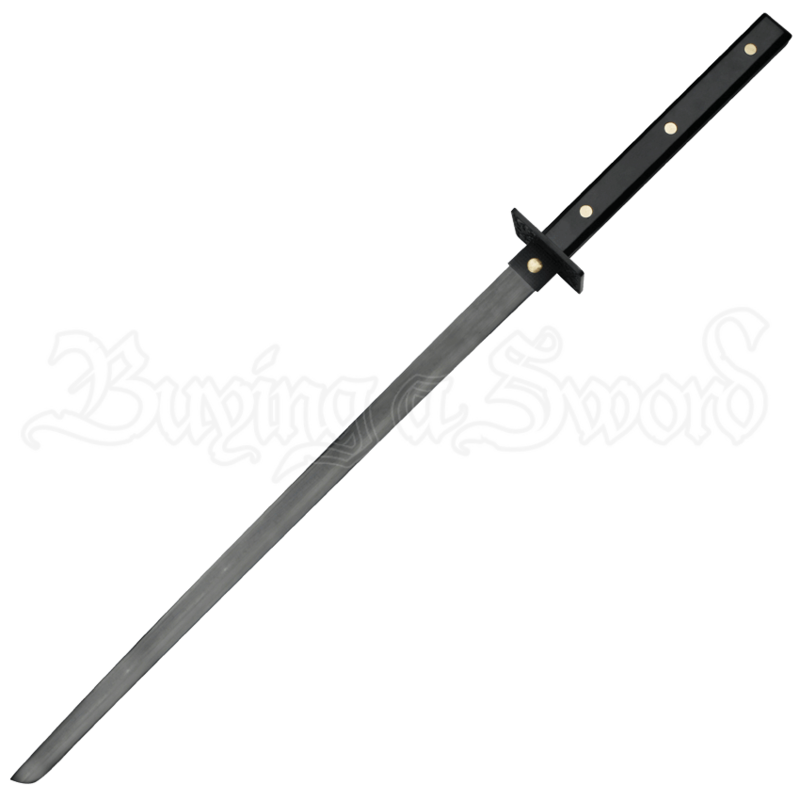 Made with a black stainless steel full tang blade, this sword is a well-constructed with a black handle and gold fittings and a tsunami wave patterned guard. This blade also comes with a black finished scabbard with gold fittings for a uniform look when carried or stored. 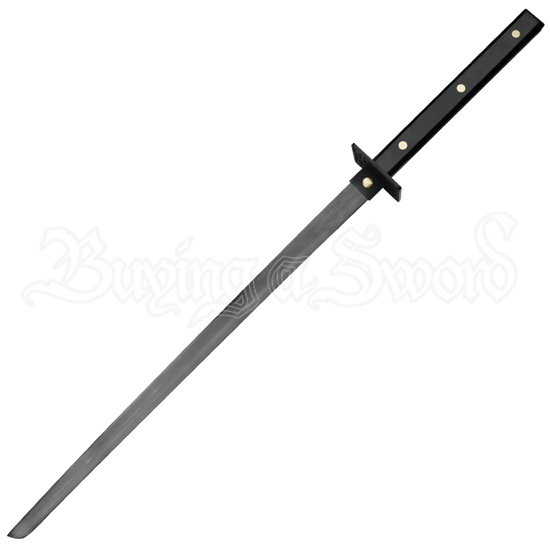 The Black Tsunami Ninjato is a great sword for a great price, and, if you are looking for a ninjato, look no further.